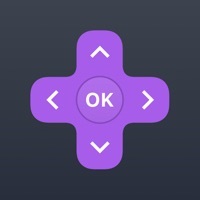 RoByte is a simple and easy to use Roku remote control that works with your Roku Player or Roku TV. 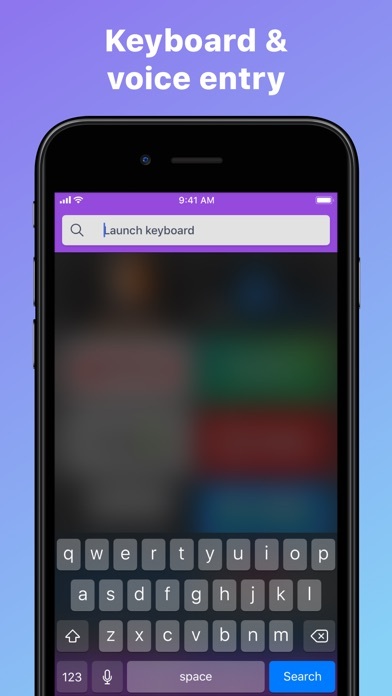 Features: • No setup is required. RoByte automatically scans your network to find your Roku. 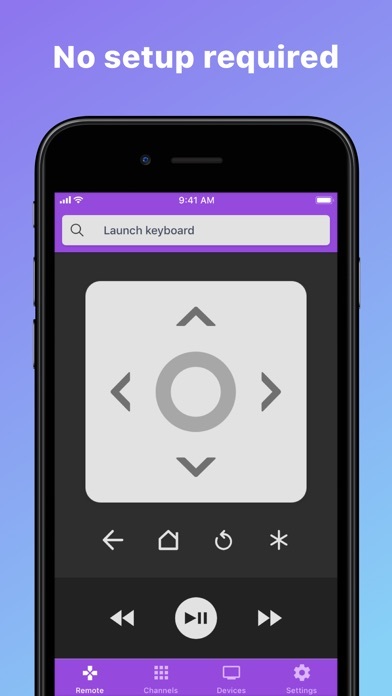 • Easily change channels with one tap • Adjust volume of your Roku or Roku TV • Use your keyboard for quick text entry for channels like Netflix or Hulu • RoByte is designed for iPhone as well as iPad • Easily navigate without looking at your phone using the touchpad • RoByte pairs with multiple Roku players. RoByte Free features: • Roku remote control • Play/pause, fast forward, rewind • Pair with multiple Roku devices RoByte Premium features: • Channel Switcher • Volume Control • Keyboard & Voice Search • Touchpad Quick Tips: • Most problems connecting to your Roku can be resolved by simply reinstalling RoByte. • RoByte can only connect if you are on the same wifi network as your Roku device. In order for RoByte to talk to your Roku, the following must be true: 1. 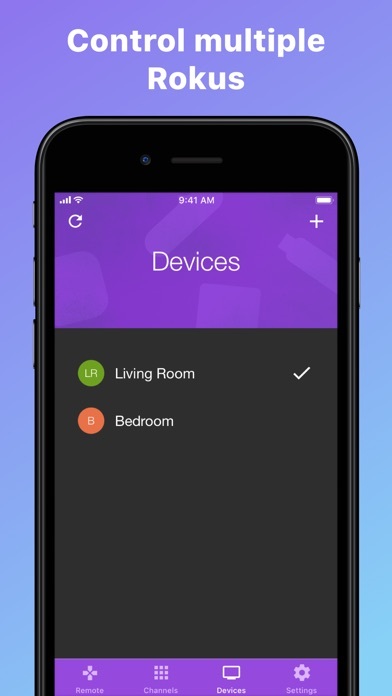 Your Roku must be connected to your home's wifi network. 2. Your iPhone or iPad's wifi must be turned on and connected to the same network as the Roku. In most cases, RoByte will automatically scan and find your Roku device but there is a small case where if you have a more complicated setup, you may need to manually enter your Roku's IP address to connect. If you're still unable to connect to your Roku, theres a good chance there's an issue somewhere within your network. Most common cases are Roku devices getting disconnected from your home wifi if it gets unplugged. You can also try reinstalling RoByte to do a fresh scan. Shoot us an email if you're still having trouble. Email Support: [email protected] Handcrafted by two brothers in San Francisco & Illinois. We call ourselves TinyByte Apps. Really helps when you can’t find your actual remote, I love it. The app remote works better than all of the other remotes and is simpler to navigate. every time I put sling tv from the remote stay good for 2 o 3 minutes , after that tv turn off it self. Is only happening with sling tv. By I Wrote a Review? It works well, no set up required, and it’s free as long as you don’t want the fancier, unnecessary options. Overall, a good app. I paid for all of the features in this app and they almost never work. I wish I didn’t waste my money. No complaints downloaded the app yesterday as of right now works great. I’ll update my review as time progress. This app responds well and the large control buttons make it so you don’t have to constantly look at your phone rather than the TV. I love it. We download it when we can’t find the remote. The one downside is you have to buy some of the buttons 😞. But without that we love it! I paid an additional 2 bucks for a volume control that absolutely will not work properly. Absolute garbage. Can't figure out how to get it to work. If your looking for a keyboard get out your credit card. I paid $3.99 to have the features it claimed to provide and it did not! It’s a scam! Don’t download this!!! I am very impressed with your app. It works very well. I got this app to work with my Roku TV, which you did but in order to get the functions I was looking for you had to pay for the premium version’s. I did that however the ones I wanted to work most like the keyboard, there’s nothing on the Roku TV. The only thing it does better than the free ones is you don’t get the ads but it is definitely not worth the money, so don’t waste it on this app.! Absolutely retarded I have to pay two dollars to unlock the volume control feature. The app was useless, and they charge you to use basic features. I have downloaded this app for a month or two now and it still do not work with my device. This is a third party app and requires you to pay $2 to use the volume feature. (Don’t be like me and actually purchase it 🤦🏽‍♀️) I highly suggest downloading the real roku app and using the remote from that one as it’s free to use the volume and everything else.. The remote itself works just fine. I use it when I can’t find my roku remote, and it does everything I want it to, which is not much...I can get to my home page, I can choose my channel, I can choose my show or video clip, I can go back...I can pause and play, I can both “rewind” and “fast forward”... All good. Now...THE VOLUME. I don’t control the volume of my tv w this roku RoByte app (thankfully, from everything I’ve read) bc I have a separate tv remote that controls the volume. No, this is about what the app does to the volume ON MY PHONE while I’m using it... As soon as I open the app, my phone’s volume immediately and automatically gets lowered by half. I thought it was odd, so I tried to raise the volume back up. Again, I don’t need it for my tv, but I though it was weird that just opening the app would just lower my phone’s volume w/o asking me if I wanted it to do that, etc... Anyway...when I started pushing the phone’s volume up button, it didn’t raise the volume...no, it instead immediately brought me to the RoByte screen telling me that if I want volume, I need to pay $1.99 to upgrade. Ok...well, that’s stupid and annoying...but, as I said, I don’t use the app to control the volume on my tv. HOWEVER...I DO use the volume on my phone when I open up another app to watch something. And, as a general rule, I like to be able to HEAR the words that the people are saying. Ah, you say, but the app only lowers the volume by HALF when you open the app, so you should still be able to still hear the show you’re watching! But NO!! I discovered that when I hit that volume up button after the app lowered it by half as soon as I opened it, the app automatically lowered my volume the rest of the way, all the way to silent. How did I figure that out? I later went to watch a YouTube clip, and...SILENCE!!! So I hit the volume up button, and presto! No problem. I can hear all the words the people are saying. Yay. Look, I get that it’s not a REAL issue for me since, again, I don’t use the app for my tv’s volume. But COME ON!!! Why do you make this app lower my PHONE’S volume???? There is just no reason for it!!! Why would you have that as a feature of your app?? Do you you think I somehow ENJOY IT?? Do you think I downloaded your app bc I wanted you to screw w the volume on my phone, for absolutely NO reason??? Do you think I will recommend this app to someone else?? No. No I will not. You fix that “feature” and I’ll sing your praises to the ends of the earth. But having your app do things to my phone, things that I do not want, things that have NOTHING to do w the function of the app (for me), and wo my permission...no. I’m sorry. It just REALLY BOTHERS me, and I felt the need to express my displeasure. Also, as much as I like the actual app itself, I can’t give it 5 stars. Or 4 stars. I WANT to give it TWO stars, but...since I don’t need your app to control my tv volume, making this problem just simply REALLY IRRITATING, I’m giving it 3 stars. Fix the problem and I’ll give you 5 stars and a brand new, glowing review! Not any better than the remote itself. 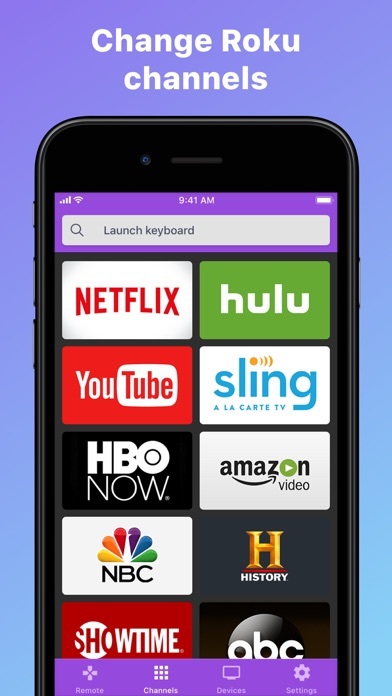 The keypad only works on the Roku search screen not in the apps. That’s why I bought the app. Wasted money on something that didn’t do anything useful. It charges a fee just to use the volume button and when I typed in my ip address the remote didn’t even work on my tv! !